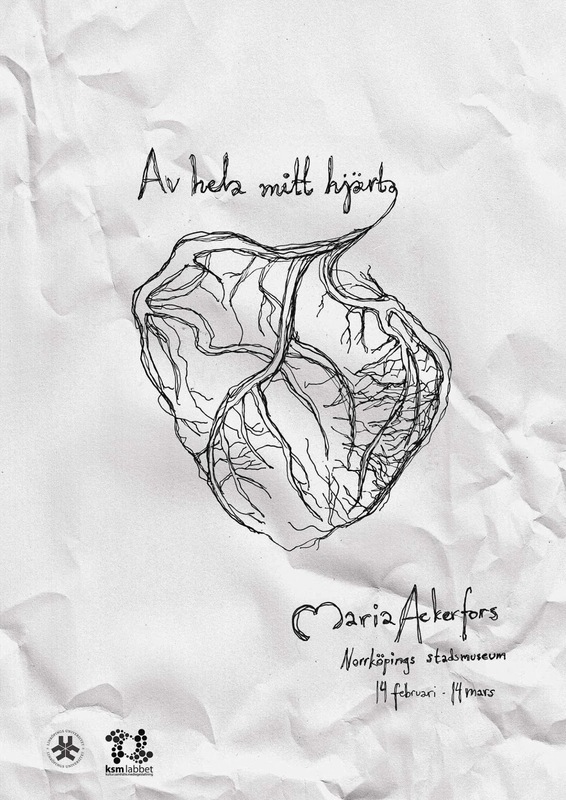 On Valentine's Day (“Everyone’s Heart’s Day” in Swedish), February 14th Maria Ackerfors will present her exhibition entitled “With all My Heart” at KSM Lab at Norrköping City Museum. In the project we meet five peoples’ stories and we are invited to explore new perspective on experiencing our own hearts. With the exhibition Maria Ackerfors delves deeper into to the human body - a subject she has always been fascinated by. She is mesmerized by the human heart and the fact it produces sounds, which few organs do. For Maria, the heart has so far been a muscle that we rely on to beat to go on living – which in itself is a great source for interesting questions. However, in this exhibition she examines what the human heart can be in a broader context. How do we relate to this organ that we project our emotional lives on? Maria Ackerfors has for six months remained in continuous contact with people whose lives have forced them to look differently at their hearts . She has interviewed a cardiologist and a counselor who worked solely with cardiac patients. But more importantly, we meet five people who all have experienced that the heart is not a given. What for example, if are born with half a heart ? Does that also mean that their emotional lives are decreased? Or what if you transplant a new heart? What does that mean to our emotional lives and to our relationship to this tireless organ?